Missed, missed & missed again! 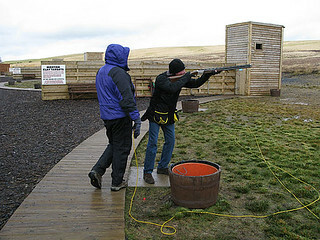 Edinburgh Clay pigeon shooting is a blast, learn how to hold, aim and fire a shot gun safely. 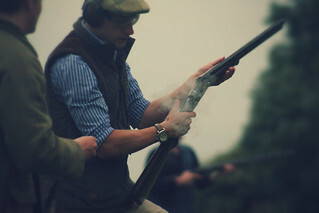 Clay Pigeon Shooting - Can't or won't kill the real thing, but still want to know what it feels like to fire a shotgun? It's a great fun activity whatever your ability. 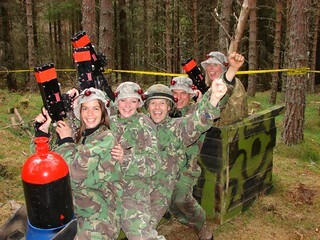 Clay pigeon shooting doesn't separate the men from the girls, in fact it’s a great equaliser. 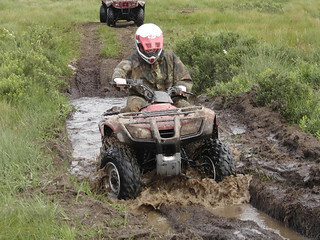 Whether for fun or with a competitive edge – your choice. 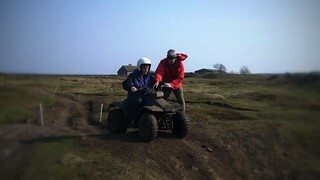 All equipment and tuition from the best instructors available. 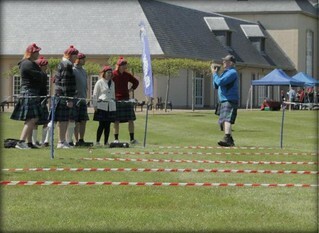 Where is Clay Pigeon Shooting held? On the outskirts of Edinburgh (about 20 minutes from the centre of town). The normal stag package is 25 clays but you can up that to 50 if you want the event to be longer. 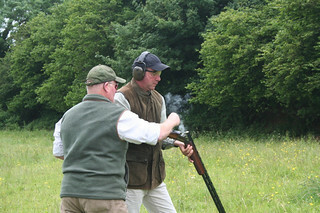 We can only book clay pigeon in daytime hours so through the winter months its a good idea to book either the morning or early afternoon sessions. To get there we suggest just jumping in a Taxi. 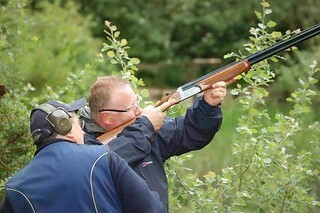 Why we Recommend Clay Pigeon Shooting? 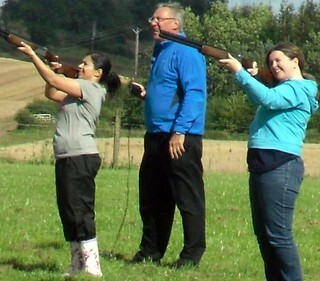 Clay pigeon shooting is a great sport for all ages and skills! If any of the guys are still pissed don't let them shoot! 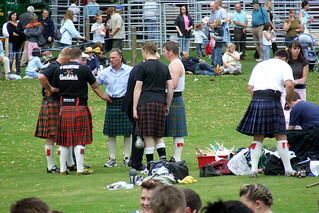 Let them just watch and enjoy the loud bangs, they go great with a hangover.